Combustion & control systemsn, Mumbai manufacture Heating & Pumping Units of three kinds to suit the customer requirements. Simplex Pump with motor & Single Heater. 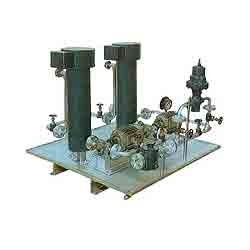 Duplex-I Two pumps with motors in parallel & Single Heater. Duplex-II Two pumps with motors & Two Heater in Parallel. Looking for Heating pumping unit ?